Unseasonal warm weather will continue across most parts of Tamil Nadu for next 3 to 4 days with no major rains seen across its length and breadth. Day time temperatures will remain 2 to 3C above normal as is the case for past one week. But the respite is not very far away as predecessor low pressure area prevails over Andaman islands. Numerical models agree on the low tracking south westward and park itself over South West Bay of Bengal in another four days as a well marked low pressure area. From there on, forecasts are unclear on the track, intensity and expanse of this system. If medium range forecasts are anything to go by, the system is expected to veer into Sri Lanka and South Tamil Nadu dumping huge quantum of rains which must come as a relief from the prevailing rainfall deficits. Up North, cold wave conditions will ease across North West India in the coming days. Chennai – Partly sunny and unseasonably warm with highs of 32/33C with no chance of rains. Vellore – Clear and dry with highs of 31/32C with a cooler night in stake. Trichy – Very warm and sunny with max of 33/34C with very less chance of rains. 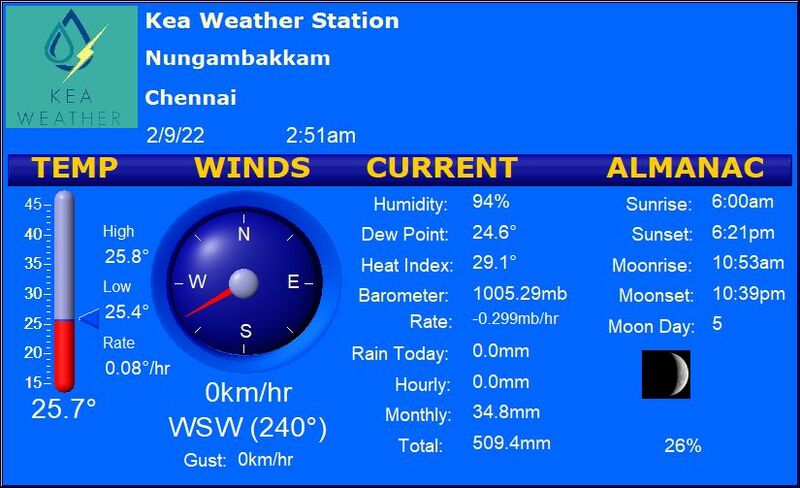 Madurai – Very warm as mercury settles at 33/34C and no chance of rains. Coimbatore – Very slim chance of rains on a day which is warm and sunny at 33C.